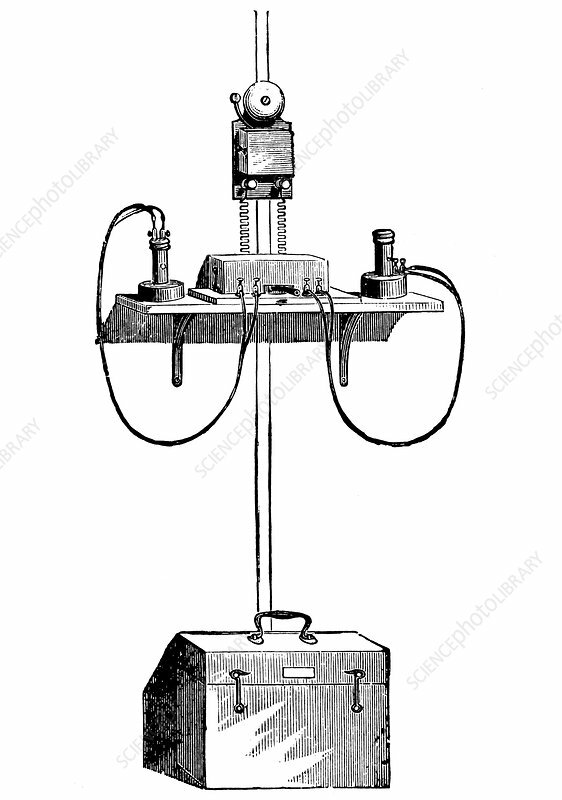 Sending and receiving apparatus with battery box at base, Edison carbon telephone, 1890. Solid metal diaphragm. Wood engraving.